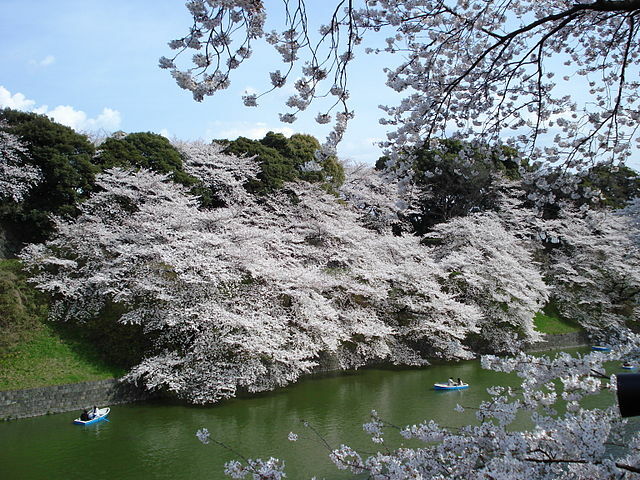 Chidorigafuchi (千鳥ケ淵) is one of the most famous cherry-blossom viewing spots in Central Tokyo. A part of Kitanomaru Park (北の丸公園), north side of the Imperial Palace. 5 min. from Kudanshita Sta.